With the rain in the forecast and a cold breeze in the air, it’s time to bring a bit of the beautiful fall colors indoors! 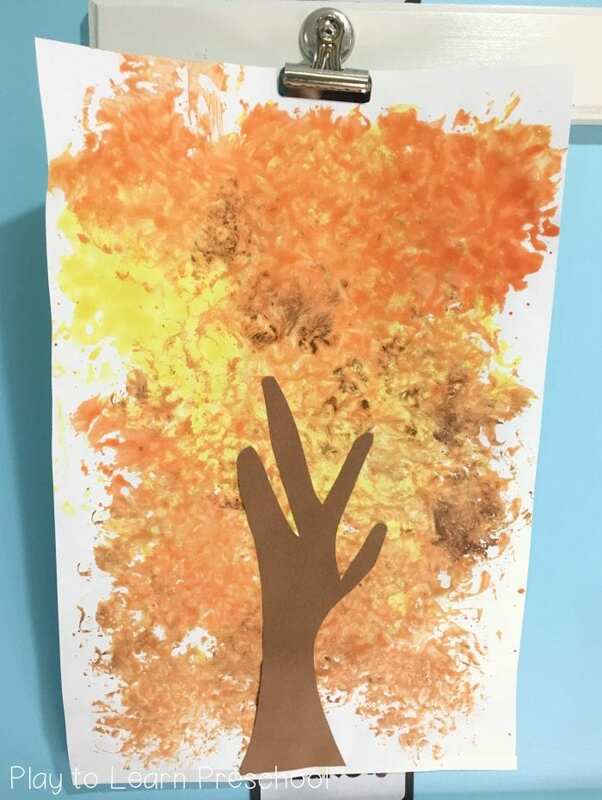 How about this beautiful Autumn tree? 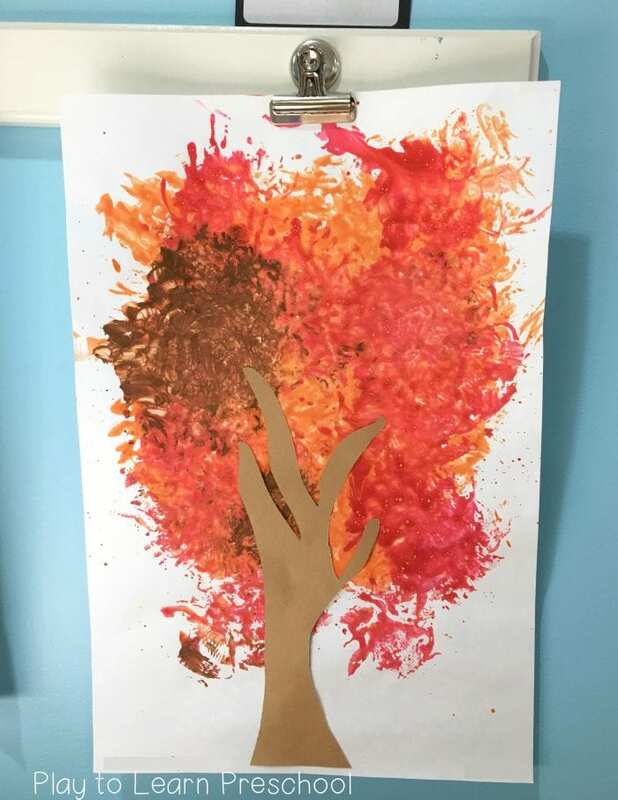 With a few supplies and three easy steps, this amazing process art activity can brighten up even the gloomiest fall day! These trees don’t require much. Very little prep, just a few easy supplies that are probably already in the cupboard, and set-up and clean up only take a few minutes. 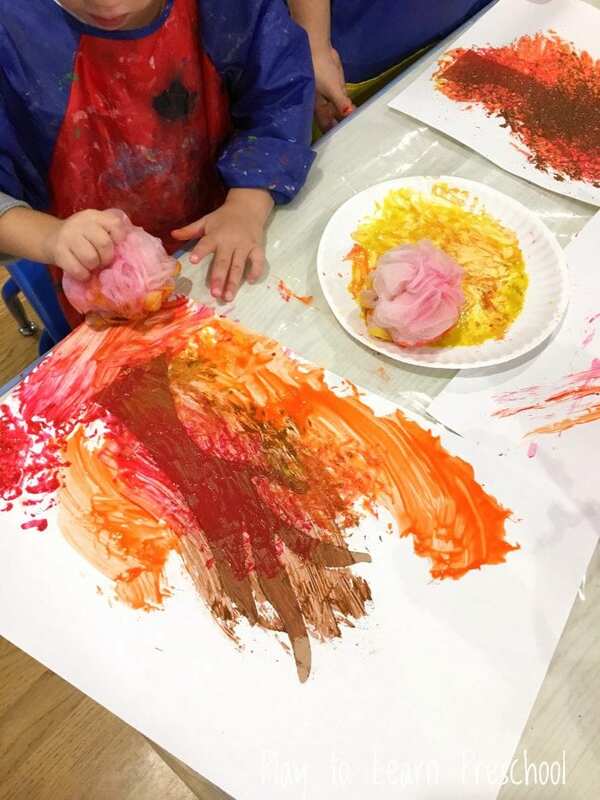 Step #1: Dip the loofah into the paint. Paper plates make wonderful and inexpensive disposable palettes. They provide a nice flat surface for maximum paint accessibility, but also make clean up super easy. 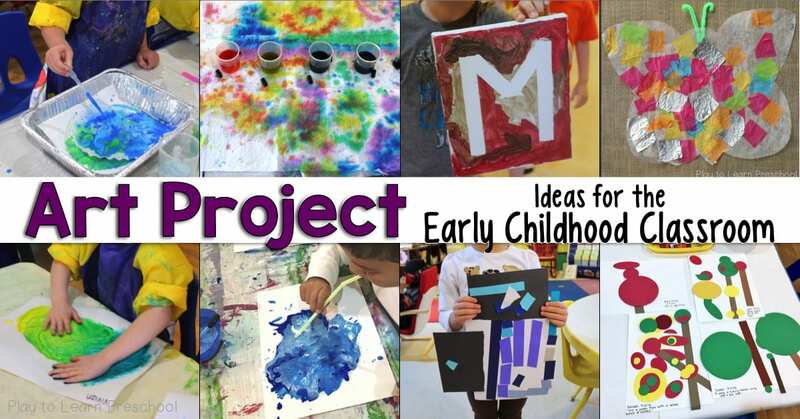 Also, if there is a student that likes to mix, and another that likes to keep their paint colors separate, it is simple enough to provide each with an individual plate. 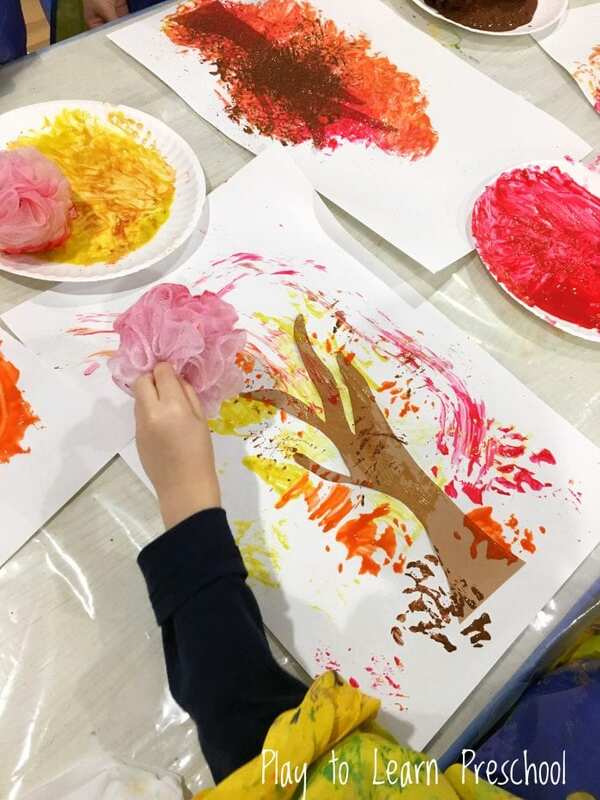 The loofah adds a different texture and variety to the painting technique – it doesn’t always have to be fingers or brushes! Step #2: Apply paint to the white paper. Since this is process art, feel free to repeat this step many times. Experiment with dabbing (not the dance move! ), swirling, swiping, and any other movements! Perhaps put on some fall music to really set the mood. Remember, with process art, it’s all about the process not the product, so there’s no wrong way to paint. Step #3: Add the trunk. The trunk can be glued on before painting or after the paint has dried, depending on personal preference. Pictured below are examples of each variation. 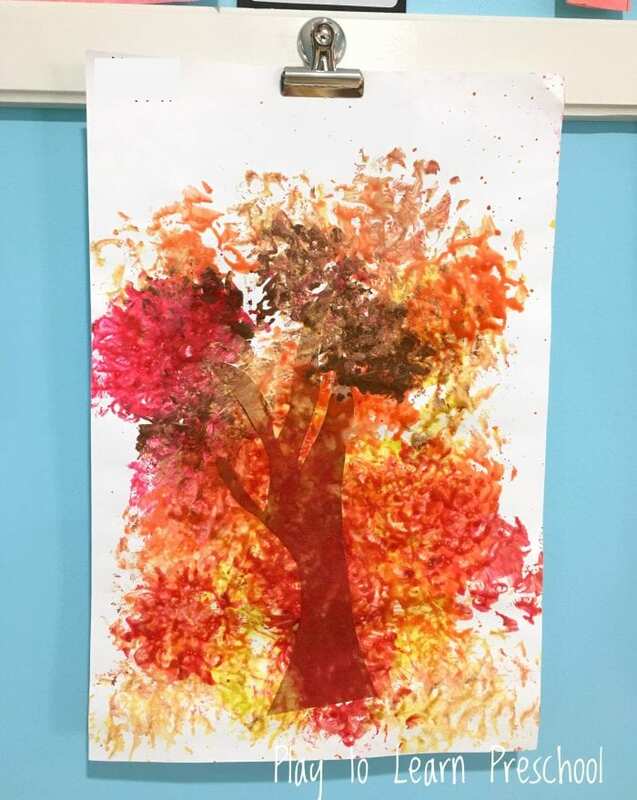 Either way, enjoy these beautiful Autumn trees from this amazingly easy process art!